Nationwide CEO Steve Rasmussen announced Thursday he will retire effective Oct. 1, ending a career at the company that included six years running the property and casualty division. Rasmussen became CEO in 2009 and officially joined Nationwide in 1998, when his 24-year-old employer Allied Insurance was purchased by the carrier. 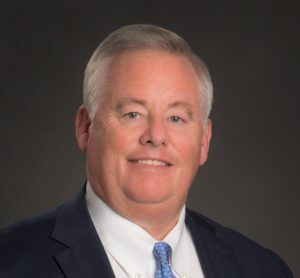 He remained president and chief operating officer of Allied after it became a Nationwide subsidiary until being elevated to president and COO of the Nationwide P&C division in 2003. “I am incredibly proud of all the Nationwide team has accomplished over the last decade, and I have been honored to lead our company as we evolved our business to support the needs of our members, partners and communities,” Rasmussen said in a statement. Rasmussen’s salary was $2.3 million in 2017, according to Columbus Monthly. “Under Rasmussen’s leadership, Nationwide has grown significantly and strengthened its position as one of the nation’s largest insurance and financial services companies, with 30,000 employees and nearly $47 billion in total sales in 2018,” the insurer wrote in a news release. Nationwide credited Rasmussen for “key acquisitions” like merging with Harleysville Insurance and its commercial lines business in 2012 and the consolidation of brands under the Nationwide name. Nationwide in 2009 was the nation’s No. 6 auto insurer with a 4.5 percent market share, based on National Association of Insurance Commissioners data. It wrote $7.39 billion in direct premiums that year and only paid out 64.33 cents of every premium dollar in actual losses, 65.84 cents when you factor in cost containment and defense efforts. “We can never get away from the fact that a big part of what we do is pay people’s claims, and being quicker and faster and on the spot is something we have to be and we need people all across the country to do it,” Rasmussen told the Columbus Dispatch in 2009 after taking the CEO job. By 2018, Nationwide was the No. 8 auto insurer in 2018 with a 2.73 percent market share and writing $6.73 billion in direct premiums, based on preliminary data. However, it was also far more profitable than any other carrier in the Top 25 in terms of loss costs, spending just 58.23 cents of every premium $1 on repairing and replacing customer vehicles; 59.31 cents if you factor in defense and cost containment. That left more than 40 cents on the dollar to invest, bank or spend on other expenses like adjusters and Peyton Manning ads. Rasmussen also inherited the famous $21 million Berg v. Nationwide Jeep collision repair litigation upon ascending to the property and casualty division in 2003. The case centers upon Nationwide behavior between 1996-98 and was filed in May 1998, before the merger of the company with Rasmussen’s Allied Insurance, according to the Associated Press. But Rasmussen ultimately got stuck with it — and still is to this day. Much of the civil case’s two-decade rollercoaster ride through the legal system occurred during his time running the P&C division and later, the company. It might even continue after his retirement. A jury in December 2004 ultimately found Nationwide guilty only of a Pennsylvania unfair trade practices law violation — it was acquitted on the rest of the counts — and awarded $295. In 2007, a judge ruled triple damages weren’t appropriate, but the plaintiffs appealed, and the Pennsylvania Superior Court in 2012 ultimately remanded for a new trial. In 2014, Berks County Court of Common Pleas Judge Jeffrey Sprecher awarded the plaintiffs $21 million in damages and attorney fees. Nationwide successfully appealed, and the Superior Court overturned the award last year. But an appeal last month saw the Pennsylvania Supreme Court agreeing to hear the case yet again.